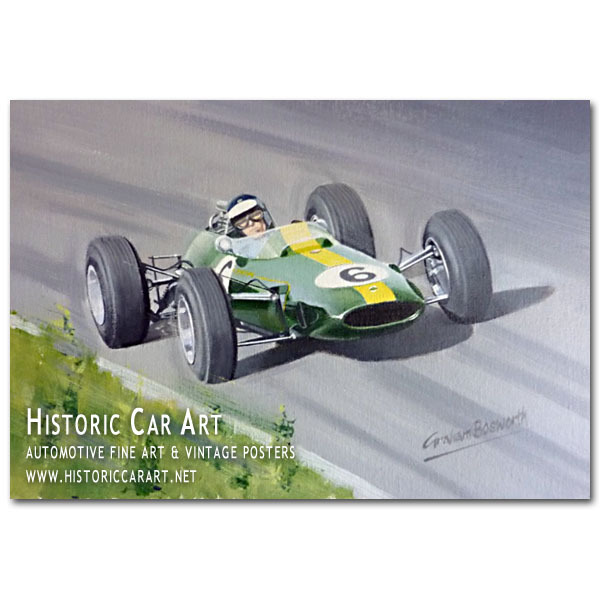 Graham has been selected as artist of the month at Historic Car Art for July. To see Graham’s complete selection of currently available original paintings, prints and greetings cards click here. From 26-31 October Graham’s work can be seen on show at the Royal Opera Arcade Gallery, 5b Pall Mall, London as part of the Royal Automobile Club “Art of Motoring” Exhibition 2015. 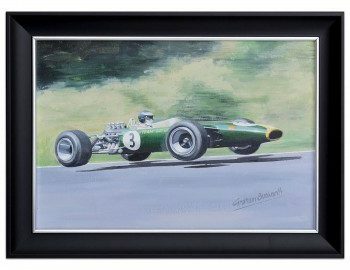 Graham will be show casing his latest artworks at Race Retro later this week. 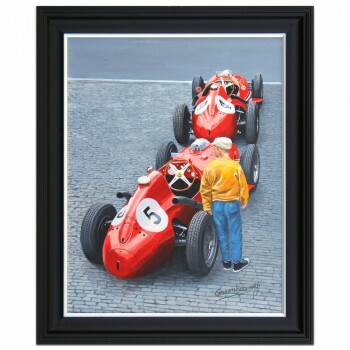 Come along to the Historic Car Art Gallery stand J30 to see Graham and his latest paintings. The stars will be 6 new paintings in the “Masters at Work” series. 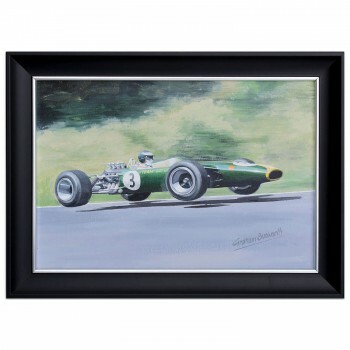 The new Jim Clark piece is shown above.